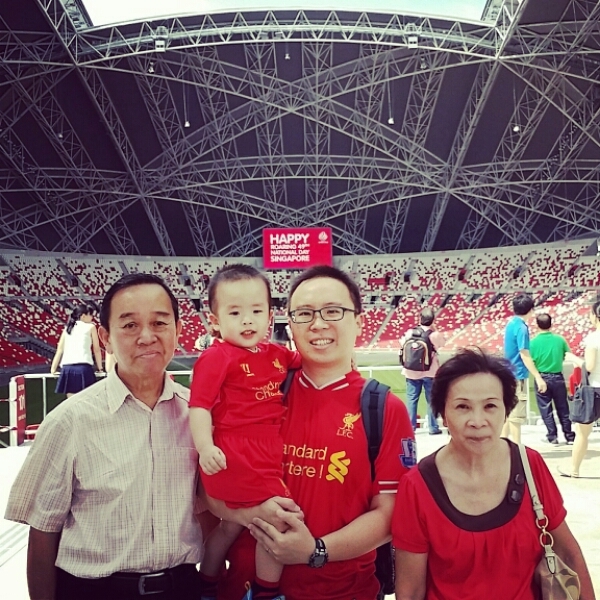 The National Stadium was open to the public on National Day weekend and we decided to go and have a look. It looked smaller on the inside than I imagined it would be, having driven past the Stadium so many times on the road. I loved the fact that the seats were red and white. 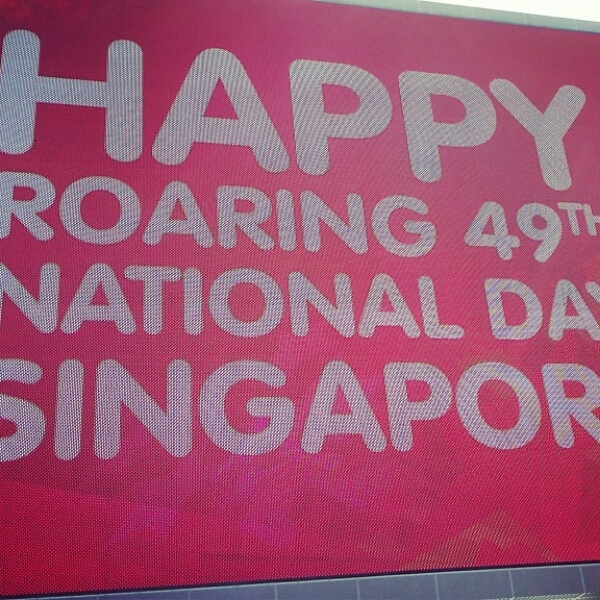 There were big signs declaring Singapore’s 49th National Day all around. 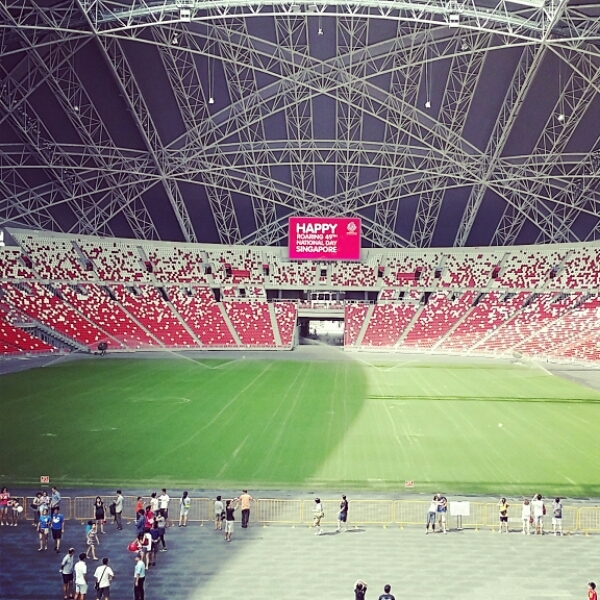 There is also a small mall (Kallang Wave Mall) right beside the Stadium. We took a short walk inside and it was just like a regular neighbourhood mall with mid-range restaurants and fashion shops. There was also a large FairPriceXtra on the first floor, which was probably the only kind of shop a mother like me would patronise.